Bocce is a sport for everyone of any age, gender or ability. Bocce can be played all year round as a recreational activity right up to the highest elite level sport. McLaren Vale Bocce Club was thrilled to host the 2014 Australian Bocce Championship as it helped showcase the sport as a great complementary or alternative healthy fitness and lifestyle choice and generated interest in the McLaren Vale district. Located within the heart of the beautiful wine region of McLaren Vale, the Bocce Club has entered individuals and Bocce team players at the State and National level and had success producing the 2009 Australian Champion and 2011 State Champion as well as numerous minor placings. For many locals, the Bocce Club means a monthly, affordable night out. 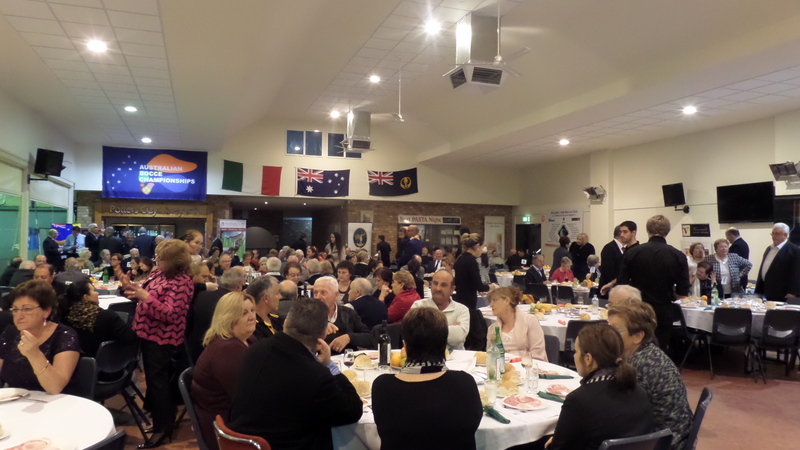 On average the attendance at monthly Pasta Night club functions is around 160 guests however the club frequently caters for up to 300 people at special community social events which are organised to raise money. The McLaren Vale Bocce Club has also played host to specific events for special causes including Ovarian Cancer and, the Sampson Flat Fire disaster fund raiser in February 2015. Targeted community events assist local families in need especially for children with life threatening medical conditions. many special birthdays, weddings and other family functions.